The Ghana Standards Authority (GSA) is to lead the country into the fourth industrial revolution to ensure that the potential of emerging technologies are fully harnessed for the country’s development. The fourth industrial revolution refers to how technologies and current trends such as the Internet of Things (IoT), robotics, virtual reality (VR) and artificial intelligence (AI) are changing the ways people live and work. The fourth industrial revolution is growing out of the third industrial revolution, also known as the digital revolution, but it is considered a new era rather than a continuation of the third because of the explosiveness of its development and the disruptiveness of its technologies. The third industrial revolution involved the development of computers and Information Technology (IT) since the middle of the 20th century. 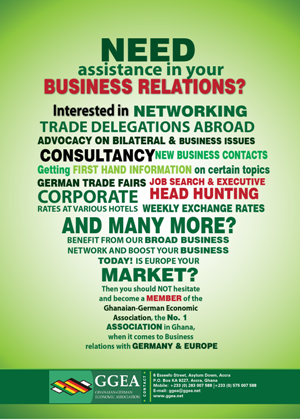 The Director General of the GSA, Prof. Alex Dodoo, told the Graphic Business in Accra on October 17, that the authority had started engaging technical universities on how to utilise the opportunities available in the new industrial era. “We are at the beginning of a new industrial revolution that will not only fundamentally transform most industries and businesses but will also have a wide-reaching impact on our careers. “And that is where our technical universities have to come in and throw away all that they know because the world has moved on,” he said. He said the GSA had taken up the mandate to lead this revolution because historically, technology had been a major driver of human advancement and Ghana must take advantage of disruptive technologies to rapidly transform the country. “GSA wants to announce to Ghana that we are aware of and we are engaging the world as the leaders for and on behalf of Ghana for the fourth industrial revolution,” he said. Prof. Dodoo was speaking to the paper after the GSA signed a Memorandum of Understanding (MoU) with M-TechX Inc, Japanese Nano Technology Company to begin the production of nano fibre in the country. With the MoU signed, M-TechX Inc is expected to establish a processing plant in the country to produce nano fibre for various industries. Aside the establishment of the plant, Prof. Dodoo said the introduction of nano technology in the country was a first step to embracing disruptive technologies that could help the country to transform at a faster rate and at a cheaper cost. Under the current arrangement, the company would partner local waste management companies to collect plastic waste generated from households and markets as raw material for the production of the nano fibre. This means the menace of plastic waste, which has become erratic, will soon be minimised when the production plant begins operation in full capacity. Nano fibre made from plastics has in recent times become the most convenient method for cleaning spillages in the oil and gas and petroleum industries and for cleaning of hospitals as well as the cultivation of crops on a large scale. Speaking on the impact of the technology, Prof. Dodoo said the production of nano fibre in the country would help to tackle oil spillage and also help to control fire outbreaks at gas stations. “It will also replace the use of sand to put out fires at gas stations as has been the arrangement,” he added. Prof. Dodoo explained that M-TEchX was currently seeking certification and testing of its products to begin commercial production in March next year. 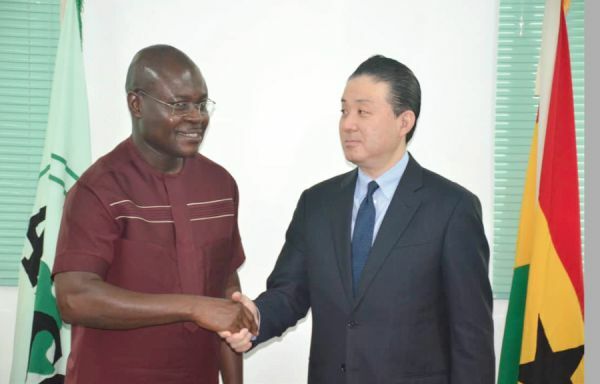 The President of M-TEchX, Mr Hiroyoshi Sota, in a separate interview said the decision to establish a plant for the production of nano fibre was a real industrial revolution for Ghana. “We at M-TechX Inc think our decision to establish a plant for the production of nano fibre is a real industrial revolution for Ghana,” he said. He explained that the company had built expertise through in-depth research into nano technology and was ready to embark on mass production. He said the company decided to invest in and use Ghana as a hub to enter other markets in Africa due to the country’s political and economic stability. “The objective of M-TEchX is to help industrialise the Ghanaian economy as part of the government’s industrialisation agenda and also to create jobs for the youth.